I just realised that I hadn't shared with you my presents that I received from the Secret Santa that Gemma - MissMakeUpMagpie and Laura - TeaseFlutterPout put together before Christmas. Just a quick well done and thank you to those gorgeous girls for putting it together :) they did really well. So basically we were paired up with different beauty bloggers and had a budget of £20 to spend on them for Christmas. It was quite fun and I'll definitely do it again this year if everyone gets in involved. I've tried the St.Tropez bronzing lotion before and I really liked it, but it did take super long to soak into my skin and i ended up with it all over my bedding. Which is never good is it? What I love about St.Tropez is that you don't have that awful fake tan smell! It's has a much nicer scent than any other fake tans that I've used before, which means I can get away with letting it progress throughout the day at work! Yay. I've never tried the body polish or body moisturiser until I received this gift. So I was quite excited to see how it turned out. Which to apply first? Right haha you're ment to prepare your skin 24 hours before tanning, which means you applying the body polish all over the body and then doing the same with the moisturiser. Leave that on for a day then shower/bath to make sure skin is clean. Then it's time to apply the bronzing mousse! If you suffer with dry skin etc. be sure to apply some moisturiser before hand to your elbows, knees, ankles, hands and any other dry areas. When applying my tan I squirt a couple of pumps onto the applicato mit and then rub into the skin in circular motions. I try to leave my tan on for a full day or at least 12 hours or so, to get the best out of the tan. This does state on the back to leave on 4-8 hours (doesn't hurt to leave it on a littel longer) most tans say 24 hours or so. To make the most out of your tan be sure to moisturise daily, exfoliate and re-apply the tan a couple of times a week. My tan turned out lovely and looked super natural :) I'm looking forward to summer now I'm fed up of the cold weather. Is anyone else? I also recieved a little bag of boots own brand moisturisers. 'Royal Jelly' with extracts of pure honey. Let me just start by saying these smell gorgeous! In the little gold bag contained a mositurisng face cream 30ml, hand and nail cream 30ml and a body lotion 30ml. Just the right size to pop in your bag to use on a daily basis or if you're staying over at a friends. I still don't know who got me mine, but I would just like to say a big thank you for my presents :) I've really enjoyed using them the last couple of weeks. 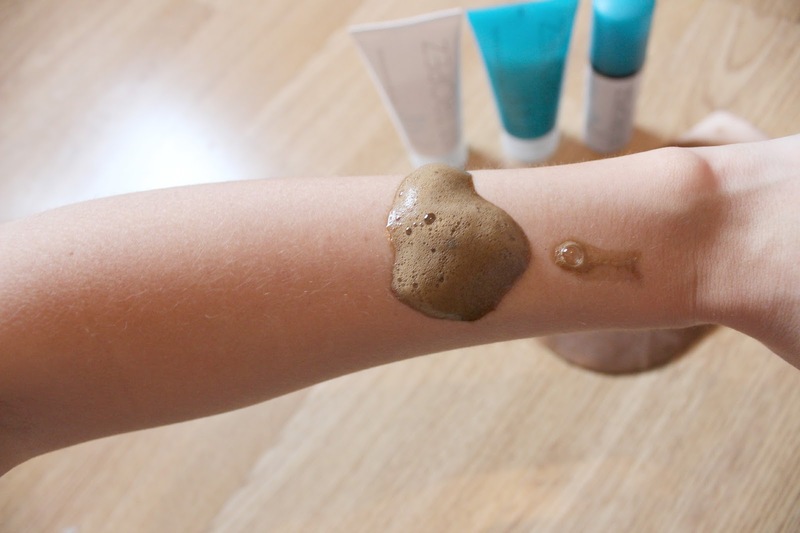 What's your favourite fake tan you've tried so far? Do you know of any that don't have that god awful scent? Wow these products seem to be quite amazing ! I love the idea of blogger secret santa! Also I love this review, it is so good and in depth, perfect for me who only uses spray on, instant tan! Always wanted to give St Tropez a go but worried I wont be good at applying it. Ill definitely try your routine of keeping it on and washing it off the next day! I wish I got involved in a blogger secret santa, it sounds like it'd be really fun! Lucky girl, you definitely got some good gifts. Who wouldn't be happy with a St. Tropez set?